The eurozone has narrowly avoided the dreaded double dip as Eurostat reports zero growth in first quarter GDP. Gross domestic product across the bloc was unchanged in the first three months of the year following the 0.3% decline in Q4 of 2011. The pointy heads over at the European Central Bank can officially untick the recession box. For now. With Greece hemorrhaging cash and Spain’s financial system failing, how did the eurozone avoid a double dip, you may ask? Well, as usual, Germany flexes most of the financial muscle in this tug of war with economic meltdown. First quarter GDP is up 1.7% year on year, taking Germany out of the recessionary danger zone. Even unemployment is down to its lowest level since 1990, boosting domestic consumption and slashing the nation’s reliance on imports. Elsewhere in the eurozone, however, there’s a distinct lack of economic brawn. In France, GDP has flat-lined, while the Italian economy contracted by 0.8%. Spain's economy shrank by 0.3%. This presents the ECB with something of a dilemma. The downturns in Spain, Greece and Portugal suggest that more stimulus is required, but to do so could risk stoking inflation in Germany. Take into account Greece's anti-austerity Syriza party leading an anti-austerity rebellion, and the situation becomes yet more volatile. 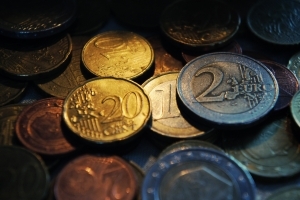 If Greece leaves the single currency, there is no precedent for what might follow. And there’s trouble brewing in France too. Today marks the inauguration of new French President François Hollande. Unlike Sarkozy, Hollande is a growth over austerity man. Any politicial rebellion from Paris could throw another spanner in the works.